Another one add-on for Minecraft Pocket Edition 0.17 due to which you get a few new types of mobs. 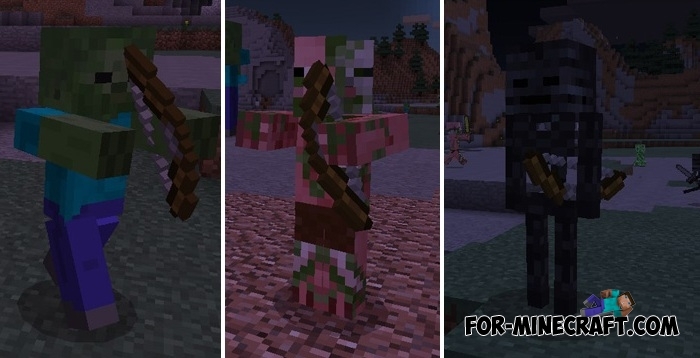 New mobs differ from the others in size and characteristics. For example, the giant zombies are several times stronger than usual and have a large size and fast movement speed. All the new mobs can independently spawn in the world without using spawn eggs. But if you want to see these creatures without expectations and searching, then use the eggs. At the same time, a chance to spawn giant zombie is pretty small, so you can throw a lot of eggs before you spawn it. 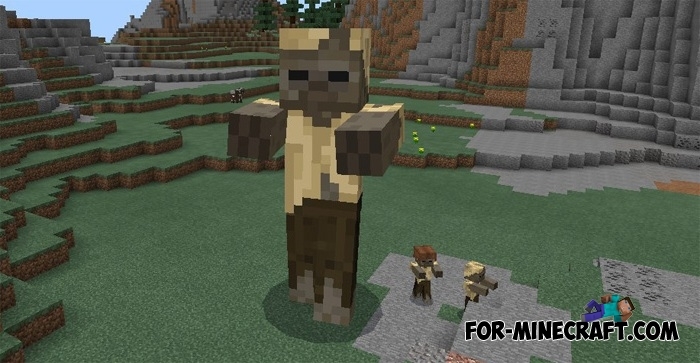 The addon includes enderman, skeleton and stray babies. Each of them can cause you damage or harmful effects, they are not as harmless as they seem at first glance. How to install the PlusMobs for MCPE? Activate it in the game by going to settings of the world when you edit or create a new world.